Just keep swimming on over to DisneyGiftCard.com, Walt Disney World Resort, or Disneyland Resort for a new “Finding Dory”-themed Disney Gift Card. Just in time for the theatrical release of “Finding Dory,” this new card features everyone’s favorite unforgettable fish, Dory, lucky-finned Nemo, and unlikely new friend, Hank. 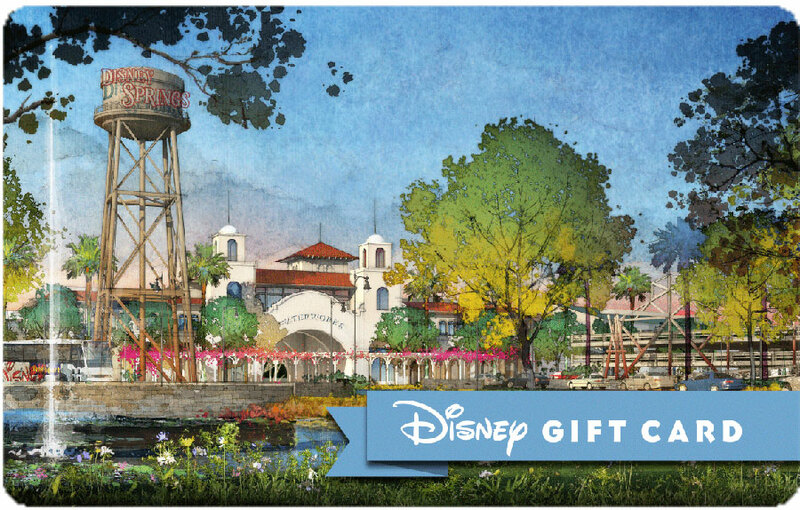 Also at Walt Disney World Resort, is an exclusive Disney Springs-themed Disney Gift Card now available at select Disney Springs merchandise locations, but like any Disney Gift Card, good for all things Disney. Guests at Disney Springs can embrace this truly amazing place, brimming with unique boutiques, one-of-a-kind eateries and lively entertainment. There’s such an incredible array of things to do—no two visits will ever be the same. Load your Disney Gift Card with as little as $15 and use it to purchase practically all things Disney from theme park tickets to Mickey merchandise at Disney Destinations nationwide. Be sure to swim on into Disney Parks this Summer and don’t miss Disney•Pixar’s “Finding Dory” in theaters June 17, 2016.